This privacy notice provides you with details of how we collect and process your personal data through your use of our business and website www.pinkssyrups.com including any information you may provide through our site when you purchase a product, send an enquiry, or take part in a prize draw or competition. 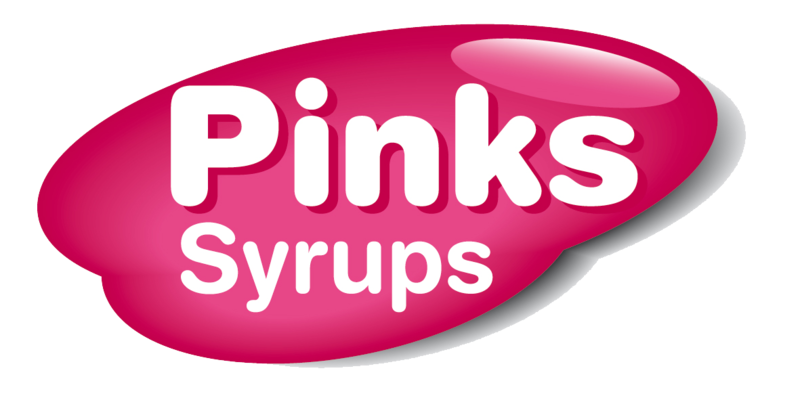 Pinks Syrups Ltd is the data controller and we are responsible for your personal data (referred to as “we”, “us” or “our” in this privacy notice). It is very Important that the information we hold about you is accurate and up to date. Please let us know if at any time your personal information changes by emailing us at pinkssyrups@pinkssyrups.com or calling 01908321516. Communication Data that includes any communication that you send to us whether that be through the contact form on our website, through email, text, social media messaging, social media posting or any other communication that you send us. We process this data for the purposes of communicating with you and for record keeping and for the establishment, pursuance or defence of legal claims. Our lawful ground for this processing is our legitimate interests which in this case are to reply to communications sent to us, to keep records and to establish, pursue or defend legal claims. Customer Data that includes data relating to any purchases of goods and/or services such as your name, title, billing address, delivery address email address, phone number, contact details, purchase details and your card details. We process this data to supply the goods or services you have purchased and to keep records of such transactions. Our lawful ground for this processing is the performance of a contract between you and us and/or taking steps at your request to enter into such a contract. We may also use Customer Data to send you offers, news or events via email, text or Facebook about our goods and services that maybe of interest to you. Our lawful ground for this processing is legitimate interests which is to grow our business. You will receive marketing communications from us if you made a purchase, asked for information from us about our goods or services or if you are not a customer, you gave us your details and agreed to receive marketing communications by ticking a box and in each case you have not opted out of receiving such communications since. Before we share your personal data with any third party for marketing purposes we will get your express consent. You can ask us or third parties to stop sending you marketing messages at any time by emailing us at pinkssyrups@pinkssyrups.com. If you wish to exercise any of the rights set out above, please email us at pinkssyrups@pinkssyrups.com. You will not have to pay a fee to access your personal data (or to exercise any of the other rights). However, we may charge a reasonable fee if your request is clearly unfounded, repetitive or excessive or refuse to comply with your request in these circumstances. We may need to request specific information from you to help us confirm your identity and ensure your right to access your personal data (or to exercise any of your other rights). This is a security measure to ensure that personal data is not disclosed to any person who has no right to receive it. We may also contact you to ask you for further information in relation to your request to speed up our response. We try to respond to all legitimate requests within one month. Occasionally it may take us longer than a month if your request is particularly complex or you have made a number of requests. In this case, we will notify you. If you are not happy with any aspect of how we collect and use your data, you have the right to complain to the Information Commissioner’s Office (ICO), the UK supervisory authority for data protection issues (www.ico.org.uk). We should be grateful if you would contact us first if you do have a complaint so that we can try to resolve it for you. © 2017 Pinks Syrups Ltd. All Rights Reserved.